Here are some the options available for lifting wheelchairs and scooters. 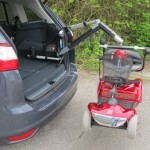 Hoists are specifically designed to lift wheelchairs and scooters into the back of vehicles. The idea is that by simply pressing a button on a handset you can lift and swing your chair/scooter into the back of your vehicle. Wheelchairs and scooters range in weight from a few kilos up to a couple of hundred kilos and vehicles come in all shapes and sizes. 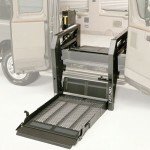 Platform lifts enable you to lift your power chair or mobility scooter into the back of your vehicle with ease. You simply drive the chair or scooter onto the platform, dismount, and press a button and the lift carries out the remainder of the task. Due to their overall size, they are intended for use with only the largest of people carriers or medium to large vans. 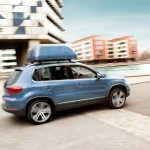 Braun Chair Topper, roof top box system that was developed to assist those manual wheelchair users able to transfer from their wheelchair into the vehicle seat but, not able to load the chair into the boot of the vehicle.